We recommend you use the latest version of the Adobe Reader (Get it Here) installed on your computer to open these documents. This document is more than a typical catalog as it provides technical information useful for selecting the correct Elevator Control Valve, upgrading their components, and repair. It also provides information about parts, accessories, and tools to assist you maintaining EECO Control Valves. 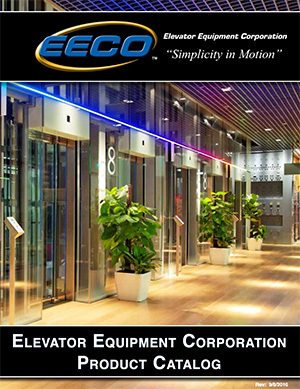 The EECO Product Catalog provides general information on all of our products. 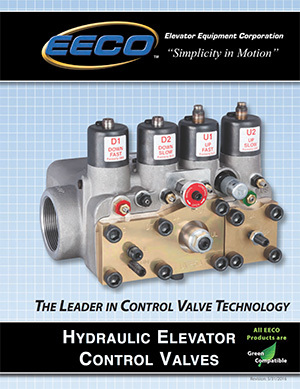 Whether you are looking for control valves, power units, hydraulic jacks, Group One systems or tools, the EECO Product Catalog has what you need. Download it now. 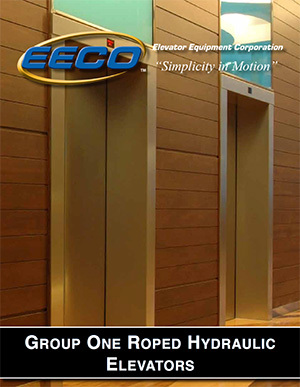 EECO offers our Group One Hydraulic Elevator. It includes Hydraulic Jack(s), a Power Unit, Sling & Platform, Rail & Rail Brackets, and Oil Line Components. Download the brochure for more information. 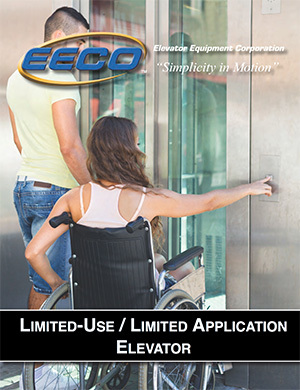 The EECO Home LULA Elevator can be used in churches, schools, libraries, small businesses, multi- family housing and other buildings, where permitted by state and local code. It is the product of years of experience and research combined to provide you with the a ordable solution to your accessibility needs. 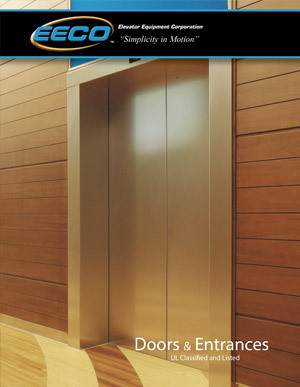 EECO provides Elevator Doors and Entrances in various sizes and finishes. They are UL Approved with a 1.5 Hour Fire Rating. 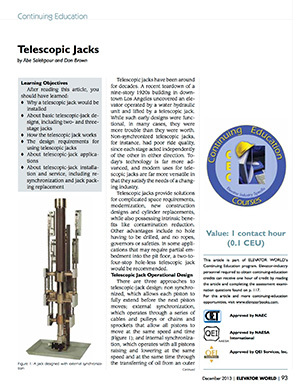 A continuing education article from the Elevator World Magazine about the design, function, and advantages of telescopic jacks, written by Abe Salehpour and Don Brown.